Michaud is located in the heart of the Chalone appellation, one of the most unique places on Earth to grow wine grapes. 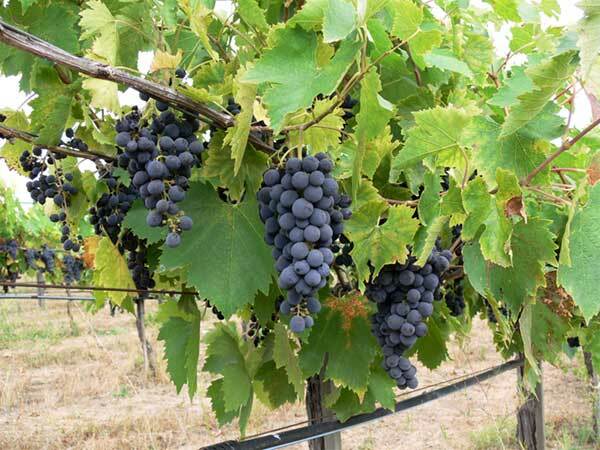 It was officially recognized by the government in the early 1980s as an AVA but its grape growing history stretches back to the turn of the last century. Curtis Tamm, a French immigrant, has been credited with establishing the first vineyard on the Chalone bench around 1919. Today the AVA is home to 7 different vineyards, comprising 360 acres of vinifera . What makes the Chalone region so unique? 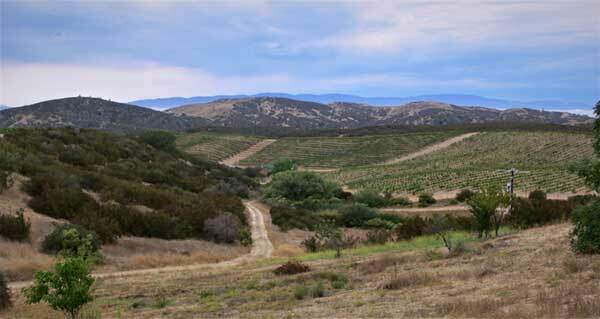 Simply put, it is a desert, high up on a granite and limestone mountain, with an ocean influenced climate. To the west, 35 miles as the crow flies, is the Pacific Ocean and Monterey Bay. The eastern skyline is dominated by Mount Chalone and the mysterious Pinnacles, remnants of an old underwater volcano born 28 million years ago. The San Andreas Fault circumnavigates the Pinnacles – the constant geologic grinding and subduction of the Pacific plate has exposed the granite rock which has weathered into decomposed granite soils. There are also numerous limestone deposits, from the decay of ancient marine organisms on the once seabed. Chalone is one of the few places where granite and limestone are co-located, providing a well-drained and mineral rich base, similar to Burgundy and responsible for the trademark “touch of stone” aromas and flavors found in the area’s best wines. The region is ecologically described as a arid “Chaparral community,” receiving only 12 to 15 inches of annual rainfall. 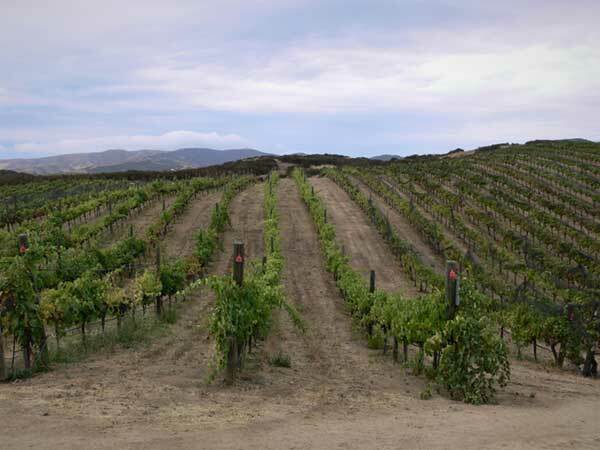 Ample sun and daily temperature fluctuations of 40 to 60 degrees, thanks to the influence of Monterey Bay, create gentle, slow-ripening climatic conditions. Top 100 Wines: 2000 Michaud Chardonnay. "Whistle and say "nice structure" for this one. Rich and full, with green apple, pear, cinnamon, coriander and vanilla flavors with touches of earth and talc and tangy acidity." Comments: Nose of butter, hay, spice and mineral, plus flavors of caramelized apple, pineapple, fig and baking spice; it has a ripe, round texture and a long finish. Pressed cranberry, under ripe raspberry and white pepper from alluring aromatic base for this bottling that dives into kalamata olive and cardamon notes on the nose. There is great energy on the sip , with anise, buzzy Suchuan peppercorn and Indian spice enlivening the tomato leaf and cherry-tomato fruit. Deep yellow in color, scents of chamomile, daffodil, yellow lilies, toasted Marcona almonds, vanilla and a touch of paraffin show on the nose, while the palate starts rather fat with cooked apples, poached pears and a sea-salt caramel. But an orange-peel sharpness keeps it tight all the way into the long butterscotch finish. Fairly dark yellow in color, this slightly aged wine offers dried lemon peels, cashew butter, dried apples and dried yellow flowers on the nose, with a fresher element of Asian pear and sliced mango. Creamy stonefruit and walnut oil show on the palate, where melted butter, citrus rinds, clove and cinnamon converge for a one-of-a-kind sip. This is a wonderful syrah that brings to mind the rich Hermitages of the Northern Rhone. It's dense in the mouth, with layers of cherry-berry fruit accented with peppery spices. Brilliant and evocative. From high in the mountains above Monterey, crisp, steely acidity frames appley, peachy flavors. Most notable are the winemaker additions of flashy French oak and lees, which make for a creamy, rich mouthfeel. - S.H. Tasting Room Hours: Friday, Saturday and Sunday 12: 00 - 5:00 pm.